Our Honeycomb window treatments are comprised of fashionable cellular shade energy-efficiency in 2 pleat size options. Crafted with our unique cotton micro fiber layered fabrics, our exclusive cellular shades create a distinctive look and stunning practicality to your interior home décor. Block the natural light with our insulated and energy efficient blackout cellular shades. Available in a variety of solid colors to match your style. 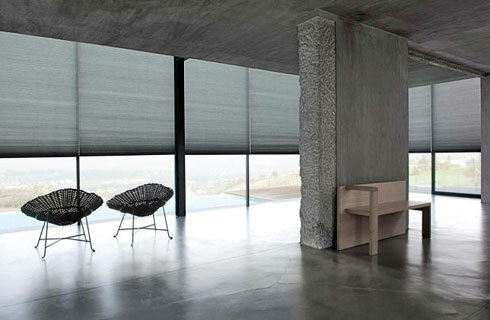 Control your range of light with our semi opaque cellular shades. Available in a variety of solid colors to match your style.